Beer never tasted so sweet. 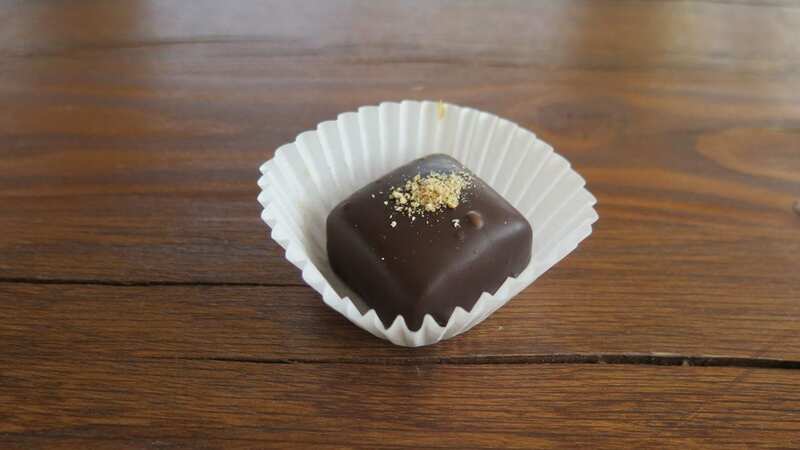 Self-taught confectioner Jonathan Pitcher, who opened Bizz & Weezy Confections (1800 Baltimore) two years ago, has begun crafting and selling bite-sized, chocolate-dipped caramels ($2.25 per piece) made from local craft beer. Pitcher has made the soft, melt-in-your-mouth caramels with Double Shift’s Abby Royal Belgian Dubbel, King’s Vine American IPA and Literally Can’t Even Belgian Strong Dark Ale. Bizz & Weezy has produced caramel based on Tom’s Town Distilling’s Pendergast Royal Gold Bourbon and Torn Label’s House Brew Coffee Wheat Stout and Monk and Honey Belgian-style Pale Ale. Un-carbonated beer also saves time when reducing liquid in the cooking process to produce caramel. The production process for one tray (yielding 140 pieces) requires two hours of cooking time, 24 hours to cool, and another hour-and-a-half to cut and dip pieces in dark chocolate. “It’s a labor of love,” Pitcher said. Beer caramel and up to 30 other flavors are available in the shop and online. Bizz & Weezy plans to introduce a line of drinking chocolate and drinking caramel, including a beer-flavored version, in November. Crane Brewing (6515 Railroad St., Raytown, Missouri) has acquired and installed a packaging line in its production brewery that expands its bottling capabilities. 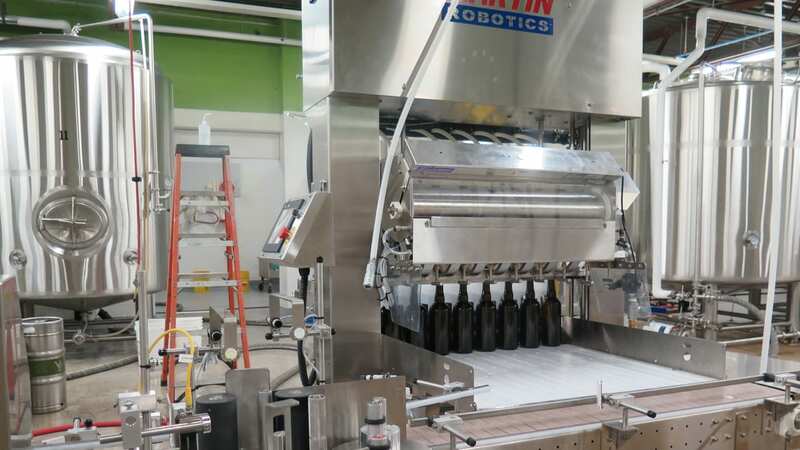 Built by Martin Robotics in Lincoln, Nebraska, the 8 Shooter is an eight-head beer-filling machine that handles 12-ounce and 375-milliliter Belgian-style bottles, as well as other sizes. Meyers estimates that Crane will be able to package 1,500 bottles per hour. Previously, Crane’s team filled, crowned and labeled their original 750-milliliter bottles by hand, taking most of a day to complete a packaging run. Crane Brewing is still deciding which current and future beers will be distributed in six-packs. They’re in the process of developing labels and packaging to fit the alternate format. Look for some sours and Brettanomyces-based beers in 375-milliliter bottles. 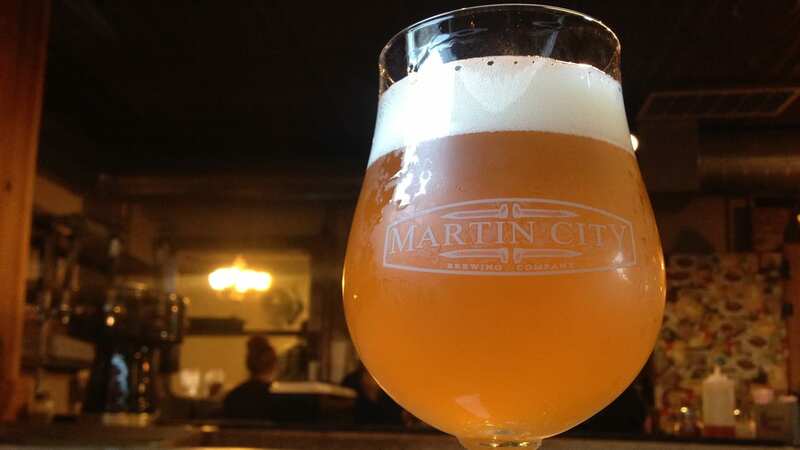 Despite the name, take your time with Martin City Brewing’s (500 E. 135th St.) 5 Second Rule available at the taproom. The beer originated as a “fun way to see what kind of unique flavor Kansas City microbes can give to a beer,” head brewer Nick Vaughn said. MCBC took four stainless steel totes full of boiling hot wort, high in dextrins, to a field at a Belton farm. The brewery blended beer from the totes and aged it in barrels for two years. The result is a subtly complex beer with a layer of sourness beneath semi-sweetness at the front. 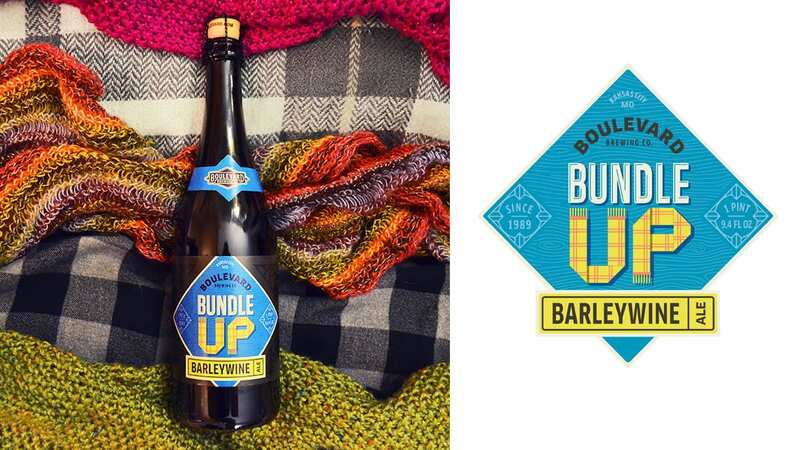 Last week Boulevard Brewing released Bundle Up, its first barleywine-style strong ale. Bundle Up (10.5-percent ABV, 59 IBUs) is a full-bodied beer with a prominent base from a five malt grain bill. Sticky caramel and toffee flavors emerge with a touch of piney resin and spice notes from hops. Suitable for the cold, blustery winter season, this warming barleywine finishes with hints of rum and raisin. Colony KC (312 Armour Road, North Kansas City, Missouri) has released Harvest Ale Phantom Power (7.7-percent, 21 IBUs), brewed in collaboration with Northtown neighbor Harvest Productions, an audio/visual design and event production firm. Current Papa Louie’s beers on tap at Green Room Burgers and Beer (4010 Pennsylvania Ave., Suite D) include Belgian Pale Ale (5-percent ABV, 55 IBUs), Ez PA (4.5-percent ABV, 36 IBUs) and Belgian Table Beer (4.2-percent ABV, 32 IBUs). Jack’s Jubilee is a collaboration between Martin City Brewing Company and Fiorella’s Jack Stack Barbecue. The American Pale Ale was brewed to celebrate Jack Stack’s 60th anniversary this month and will be on tap at all five Jack Stack locations starting Oct. 1. Double Shift Brewing’s (412 E. 18th St.) Literally Can’t Even Belgian Strong Ale will return in the second week of October. Also in October, look for the bottle release of Barrel-Aged Sister Abby and Bring Out Your Dead Blonde Coffee Stout. In a Great American Beer Festival update from last week’s Tap List, Stockyards Brewing sent the following four beers to the national competition: Stocktoberfest in the Vienna-Style Lager category, Saison in the Classic Saison category, West Hef Hefeweizen in the South German-Style Hefeweizen category, and Anniversary Ale in the Belgian-Style Strong Specialty Ale category. Stockyards will also attend the fest and pour samples of these beers. International Tap House (403 E. 18th St.) hosts trivia night, sponsored by Martin City Brewing Co. and 4 Hands Brewing, with beers from both breweries and trivia for prizes. Barley’s Kitchen + Tap (16649 Midland Drive, Shawnee, Kansas) welcomes New Holland Brewing Co. for a tap takeover. Explore four variations of barrel-aged Imperial Stout Dragon’s Milk Reserve – Triple Mash, Mexican Spice Cake, S’Mores and Raspberry and Lemon. Flying Saucer Kansas City (101 E. 13th St.) taps a rare beer: Ballast Point Blackberry Sour Wench, a fruit-forward Berliner Weisse brewed with blackberries. Enter a pumpkin drawing contest at 8 p.m., and sip on Dogfish Head beer at HopCat (401 Westport Road). Pumpkin artwork will be on display throughout the month. Winners receive swag and gift cards. Flesh & Blood American IPA, Punkin Ale, 90 Minute American IPA, and 120 Minute American Double IPA will be on tap. Lone Elm Tap Room (14615 W. 119th St., Olathe, Kansas) will have four beers each on tap from the Free State Brewing Company and Torn Label Brewing Company, including harvest ales that use hops from Kansas Hop Company. A percentage of the proceeds will be donated to The Family Conservancy. Restless Spirits Distilling and Cinder Block Brewery collaborated to create an Imperial Märzen. The beer was aged in a Restless Spirits’ Stone Breaker Whiskey barrel for 14 months and kegged. Available at Affäre (1911 Main St.) for one night only, the restaurant will pour its Imperial Märzen with a side of Stone Breaker Whiskey. Martin City Brewing will be pour samples of its beers at the Renaissance Festival on Oct. 7 and 8 from noon to 4 p.m. each day. Leinenkugel’s KC presents Oktoberfest Live! in the Kansas City Live section of the Power and Light District (1100 Walnut St.). John Leinenkugel will attend and toast guests. Visit tasting tents, cheer at weiner dog races, eat, drink and be merry. Stretch out the weekend at Bier Station (120 E. Gregory Blvd.) with Beer Yoga sessions at 11 a.m. and 1 p.m. sponsored by Dogfish Head and conducted by Onelife Fitness. Sip on Dogfish Head Namaste, a Belgian White brewed with orange, lemongrass, peppercorn and coriander. Ticket includes class entry, pour of Dogfish Namaste and a glass to keep. Dogfish beer cocktails, Namaste-mosa and SeaQuench Bloody Mary will also be available. Barley’s Kitchen + Tap (16649 Midland Drive, Shawnee, Kansas) clears some imperial stouts out of the cellar. Delve into 2014 and 2015 Stone Brewing Imperial Russian Stout, 2014 Boulevard Brewing Company Imperial Stout, New Belgium Brewing Lips of Faith Imperial Chocolate Coffee Milk Stout and 2012 Avery Brewing Company The Czar.